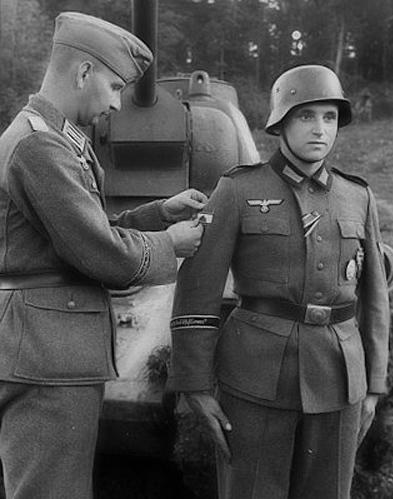 The tank destruction badge in silver was instituted by Adolf Hitler on the 9th March 1942 to honour individuals who single handedly destroyed an enemy tank with hand held weapons. This award was made retroactive to the beginning of the invasion of the Soviet Union (22nd June 1941). The tank destruction badge consists of a blackened 43mm x 18mm Panzer Mk IV tank attached to a 33mm x 88mm silver ribbon. The tank is attached to the ribbon by three prongs bent over a small oblong metal plate, and covered with black or army green cotton/wool cloth or, as found in some cases, canvas. The silver ribbon includes a 4mm black cotton stripe running horizontally 2mm from the upper and lower edges of the ribbon. 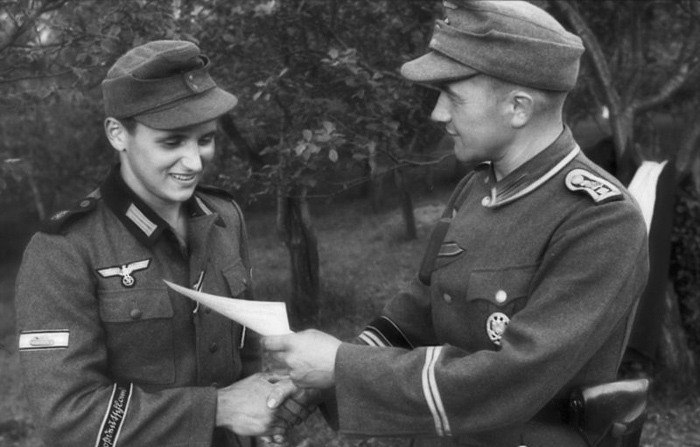 As individuals earned multiple badges, it became evident that a higher class was needed. Therefore on 18th December 1943, a gold class was instituted to signify the single-handed destruction of five tanks. The tank destruction badge was awarded to soldiers who destroyed an enemy tank single handedly by a hand held weapon. Anti-tank units were not eligible for this award. Silver Award: The single handed destruction of an enemy tank by use of hand held weapons such as a hand grenade, panzerfaust, satchel charge, Molotov-cocktail, etc. 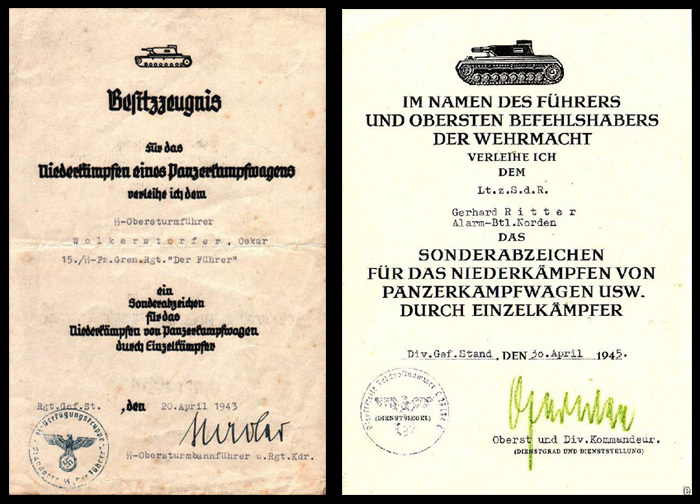 Gold Award: The single handed destruction of five enemy tanks using hand held weapons such as a hand grenade, panzerefaust, satchel charge, Molotov-cocktail, etc. 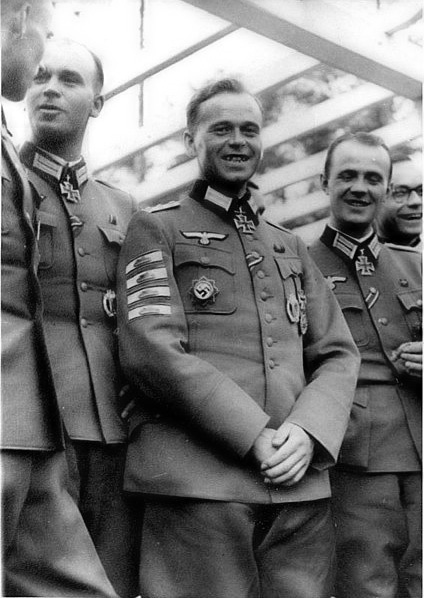 The silver badge was worn on the upper right arm of the tunic with subsequent awards being attached directly below the first one until four were attached at one time. continued until the fifteenth award, then the twentieth, and so on. 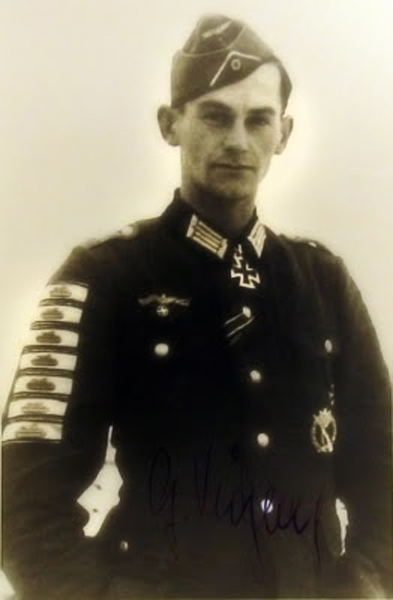 The highest number of awards given to a single man was twenty-one, awarded to Oberstleutnant Gunter Viezenz (10./Gren.Rgt. 7).